In June und July 2017 Ian Kaler www.iankaler.com , an intense and courageous dancer and choreograph created a new piece Liv /fe and I was involved as a coach. I was more a sparring partner and provocateur. I assisted Ian in this process and would love to see the opening night in Vienna in August. I hope I can make it. The actor Johannes Suhm took little money and lots of enthusiasm and know how to shoot a film of 90 minutes.He directs, produces and plays the lead in A man eats the whole world - a theater play written by Tim Günther. I got so excited myself by his project that I try to be on set as much as I can and help as a coach. It will be shot within summer 2017. Black Hours will have its premiere in the US in Los Angeles! The film is part of the L.A. Shorts International Film FestivalI from 3rd till 10th August 2017. We are really proud! I participated as a coach while I was in Geneva. 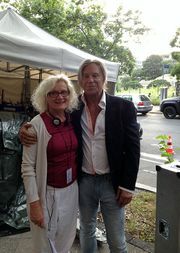 Very talented young director from Zurich. directed by Lynn Roth. It is a Low Budget Production from L.A, USA and everyone involved is committed to this touching and beautiful script. The story of the Holocaust told through the eyes of a dog and his best friend, the jewish boy Joshua. I am happy to be part of the making of this film as a dialect coach. We want all characters played by American, Israelian, Hungarian and German actors to have a similar accent to their English. Exciting. with Michael Neuenschwander as leading actor in this episode of Tatort will be seen. I worked with him on this extreme character. will open October 2017 in all German speaking countries. Doro Müggler is the leading female role in this male dominated comedy and I prepped her for this role. I hope it will be subtitled! is based on the Polish bestseller and opens Sept 12th, 2017 in the German cinemas. I prepped Eray Egilmez for his part in this comedy. Great dialogues! From April to August 2017 I will be working as Dialect Coach with the German actors involved in this Paramount TV series of 10 episodes. 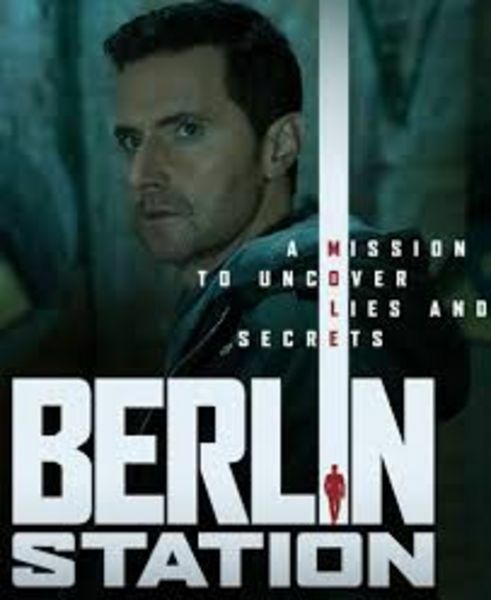 It is an hour long espionage drama that follows a CIA case officer and his team on a secret mission to Berlin. He finds himself in a world full of danger and moral compromises. The Vanishing, a mini series directed by Hans Christian Schmid, has its world premiere at the Munich Film Festival. I prepared and coached Julia Jentsch, the female leading character. Intense, challenging and very satisfying. Julia Jentsch is the mother of 20 year old Janine who disappears mysteriously in a small Bavarian town. She starts to search for her daughter at her own risk and what she discovers bit by bit will keep you glued to the screen. Laura Tonke in Axolotl Overkill by Helene Hegemann, plays the half-sibling of 16 year old Mifti. I prepared Laura in this unconventional movie and her performance is exquisite. Mifti, age 16, lives in Berlin with her half-siblings, her rich, self-involved father and her junkie friend Ophelia. As she mourns her recently deceased mother, she begins to develop an obsession with Alice, an enigmatic, and much older, white-collar criminal. Svenja Jung will be the leading actress in the German film G'stätten by Peter Evers. A cosy little village which turns out to be everything else but cosy. Dispisement, death, liberation. I am thrilled to support her in this film.